Often, canned foods are viewed as secondary to fresh foods, when in actuality canned foods are extremely versatile and the most tamper-resistant food packaging option available today. Canned tomatoes are picked at the peak of ripeness and immediately canned, locking in flavor and nutrition that is equivalent to their fresh and frozen counterparts. Buying canned food helps offset the 34 million tons of food wasted in the United States each year and through recycling, the steel industry saves enough energy equivalent to power 20 million homes for one year. With so many types of canned tomatoes, it can be confusing trying to figure out which type to use for each recipe. Use this guide to understand the difference between various types of canned tomatoes and the best uses for each. San Marzano tomatoes are widely recognized by top chefs, Italian cooks and food aficionados as the gold standard for taste. Grown in the shadow of Mount Vesuvius in the Sarnese Nocerino area of Italy, San Marzano tomatoes’ distinct taste is attributed to the rich, volcanic soil and ideal Mediterranean microclimate. 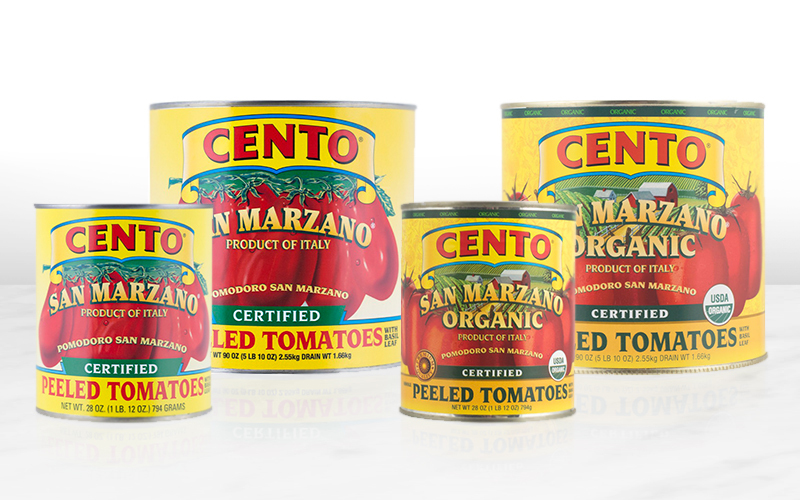 Cento Certified San Marzano Tomatoes have a unique, balanced sweetness that is the perfect base for your pasta and pizza sauces. Trace your can of Cento Certified San Marzano Tomatoes to the exact field where they were grown with Find My Field, powered by PAC Traceability. Whole peeled tomatoes are steam peeled then packed in tomato puree with basil for added flavor. Whole Peeled Tomatoes are less processed than other forms of canned tomatoes and also more versatile because they break down very well when cooked. 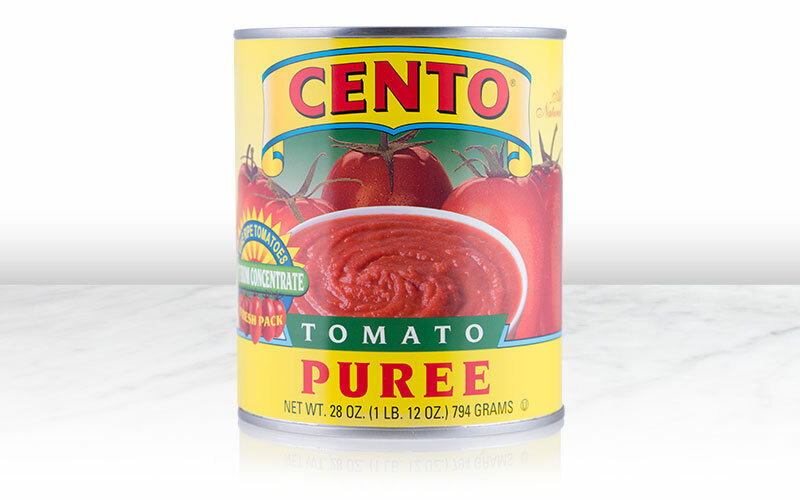 Cento Whole Peeled Tomatoes can be turned into any other variety of tomatoes: broken up with your hands and turned into crushed, chopped and turned into diced, or pulsed in the food processor and turned into puree. Use in all of your favorite recipes calling for tomatoes. Chef’s Cut tomatoes are premium plum tomatoes with the shoulders and cone removed, sliced into tender strips packed with a fresh basil leaf in a full-bodied puree for added flavor. 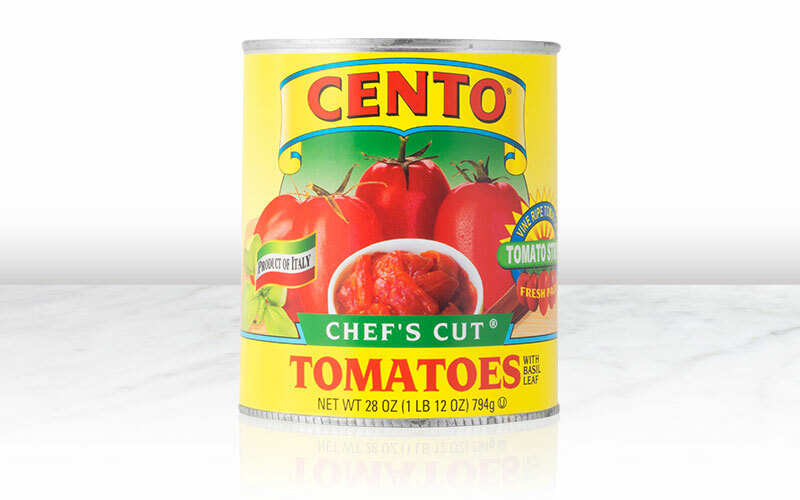 Cento Chef’s Cut Tomatoes are versatile and perfect for making any of your favorite pasta or pizza sauces. Diced tomatoes are firm, uniformly chopped tomatoes that are perfect for long simmered dishes where you want distinct tomato pieces because they retain their shape when cooked. 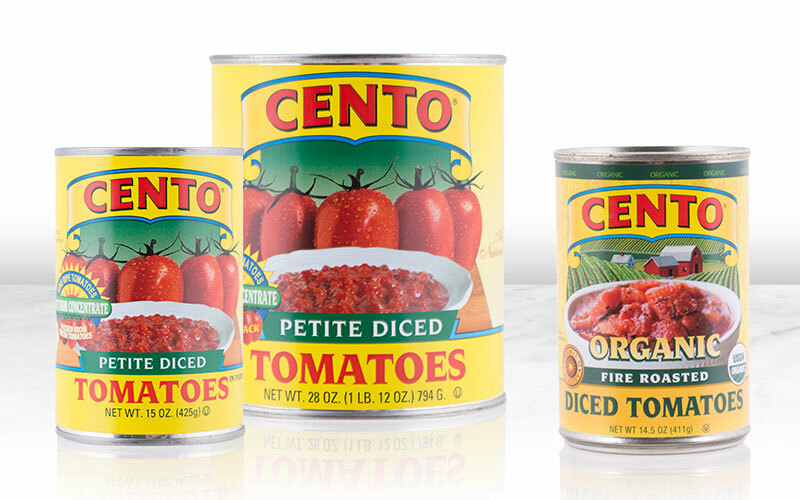 Cento Petite Diced Tomatoes are perfect for chili, bruschetta, pasta salad and salsa recipes. Crushed tomatoes have a consistency that falls between diced tomatoes and a smooth tomato puree. These tomatoes are fresh packed and have a thick consistency with small chunks of tomatoes. 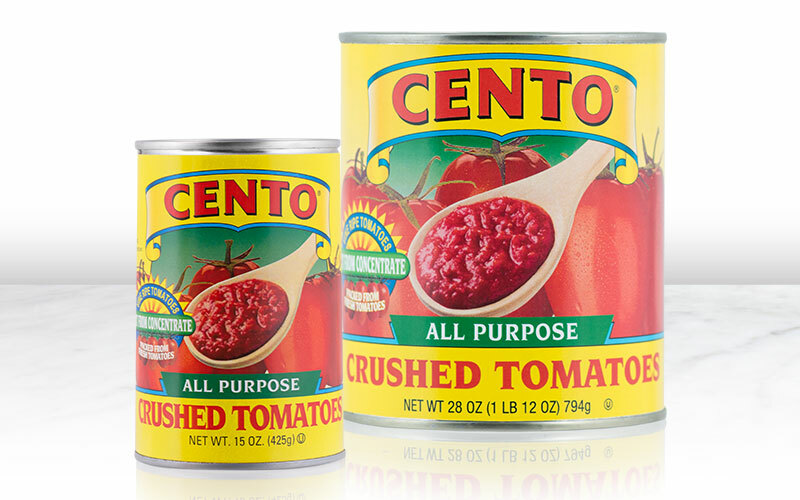 Cento All Purpose Crushed Tomatoes are famous for Sunday gravies, pizza sauces, pasta sauces and smooth tomato-based soups. Tomato puree has a consistency that falls between crushed tomatoes and tomato paste. It is smooth, thick and deeper in flavor than crushed tomatoes, but not as concentrated as tomato paste. Tomatoes are seeded, passed through screens and strained to make Cento Tomato Puree, great when combined with our Chef’s Cut Tomatoes to make a perfect pizza sauce. 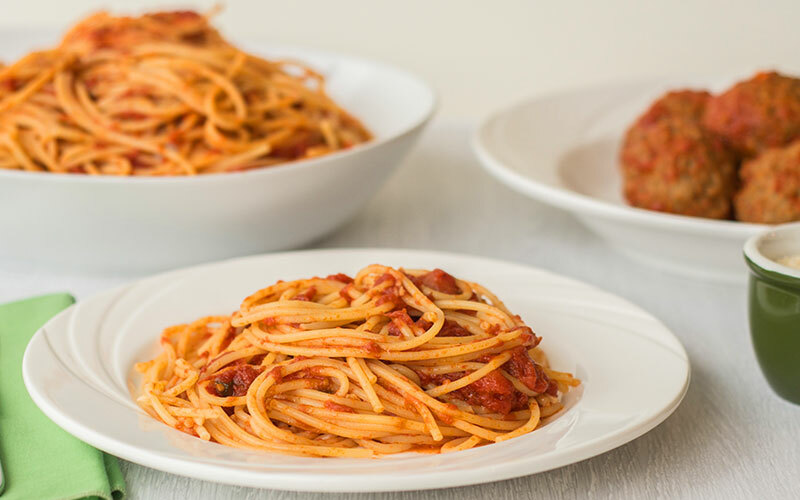 Passata is crushed whole tomatoes that have been sieved to remove the skin and seeds, then crushed to produce an uncooked tomato base with a smooth, creamy consistency. 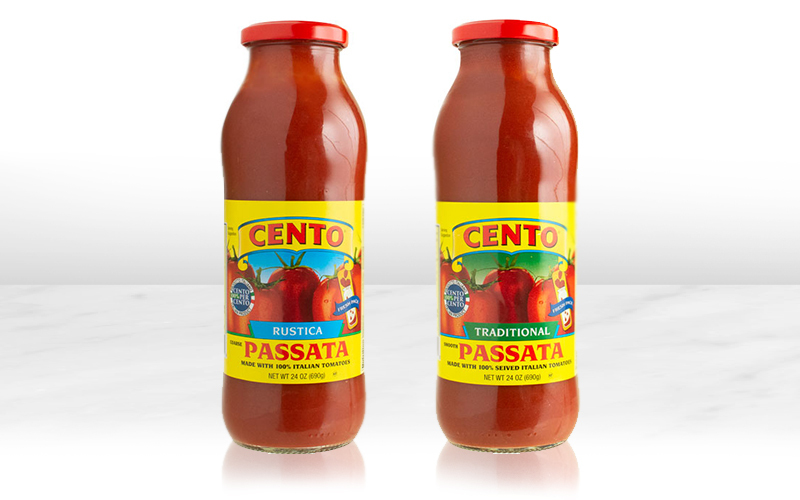 Cento Passata, available in both Traditional (without seeds) and Rustica (with skin and seeds), has a fresh tomato taste that is best used as the base for tomato sauces, soups, or in chicken and steak recipes. Tomato paste is the most concentrated form of canned tomatoes, made by cooking down tomatoes and evaporating liquid from them. Tomato paste adds a savory aspect and thickness to dishes, and is a foundation ingredient in dishes like soups, stews and braises. 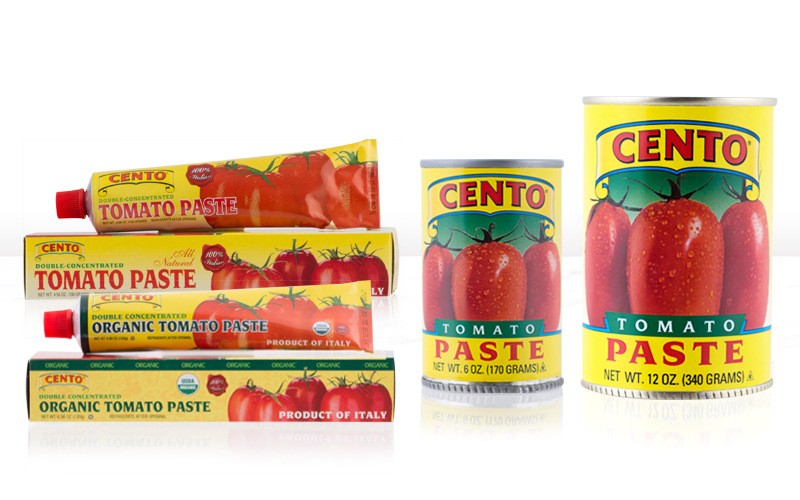 Cento Tomato Paste is available in both cans and resealable tubes, perfect and convenient for when you just need a small amount in dishes. 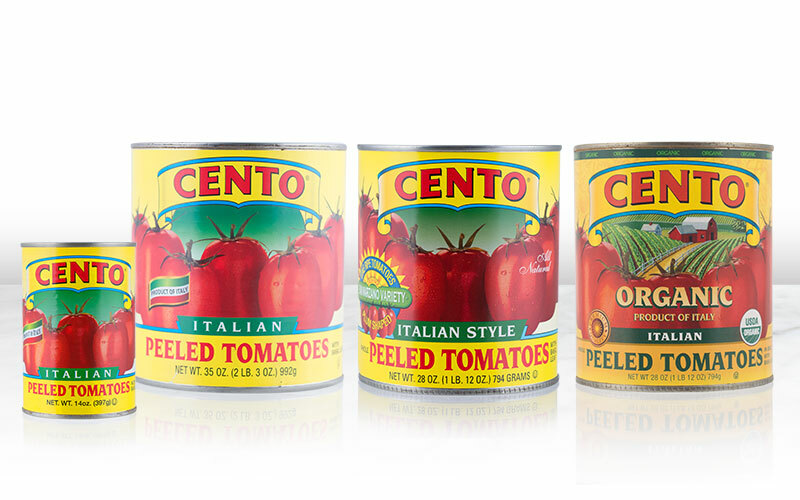 No matter the occasion or recipe, Cento Fine Foods carries tomatoes to suit all of your culinary needs.